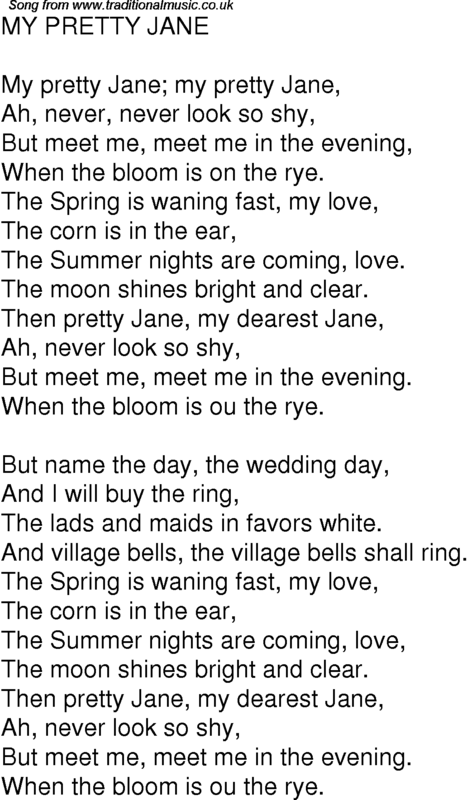 When the bloom is on the rye. The Summer nights are coming, love. But meet me, meet me in the evening. When the bloom is ou the rye. The lads and maids in favors white. And village bells, the village bells shall ring.